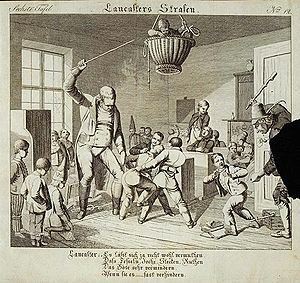 Lancasters Strafen (1826) - log kneeling and caning. Corporal punishment of children refers to all forms of corporal punishment given to children or minors. Countries with an official prohibition of all forms of corporal punishment of children (2012). This page was last edited on 22 April 2018, at 19:42.